Whether you’re interested in web developer jobs at Google, becoming a data scientist at Facebook, or landing a coveted role working alongside Elon Musk at SpaceX, getting your foot in the door with the world’s top tech companies starts with putting together a simple, yet compelling resume. Average salary for Google web developers, per Paysa data. With all the creativity, innovation, and sheer brainpower behind the tech industry, you might think that crafting a quality resume would be as simple a task as creating a basic HTML table. The truth is, many of the greatest minds in tech have a tough time constructing a resume that appeals to recruiters and hiring managers. You might be wondering, are the most common mistakes small nuances easily overlooked by an inexperienced candidate? To protect yourself and ensure your resume is in tip-top shape before submitting to your dream job, check out these four common tech resume mistakes and be sure your CV doesn’t have any of them. Telling someone to check for typos on their resume is like saying “make sure you wear pants to your interview” — everyone knows that’s a basic requirement. And yet, according to a 2013 study, 58% of resumes contain typos (luckily, the data isn’t nearly as disturbing for pantsless interviews.) So, despite the consistent reminders and the advent of spell check, the majority of people still have spelling and grammatical mistakes on their resume and that can cripple their chances of landing a dream job. But if everyone is making the same mistake, why can’t employers just accept it and move on? Because typos indicate a lack of attention to detail. If applying to any of these open web developer jobs, for example, (which pay an average of $79k according to Paysa data), a typo on your resume could translate to inconsistencies in the code you produce. Bad code means lost time and revenue, so while your background and experience may be everything a company is looking for, it’s a risk to hire someone who doesn’t spell check their resume before submitting it to a potential employer. Average salary for web developers, per Paysa data. Luckily, this is the easiest problem to fix. Beyond the built-in spell check on your computer, you should also read your resume aloud slowly and have a family member or friend you trust review it for typos. Don’t have anyone you think can help? Spend $5 and have a stranger proofread your resume and cover letter. 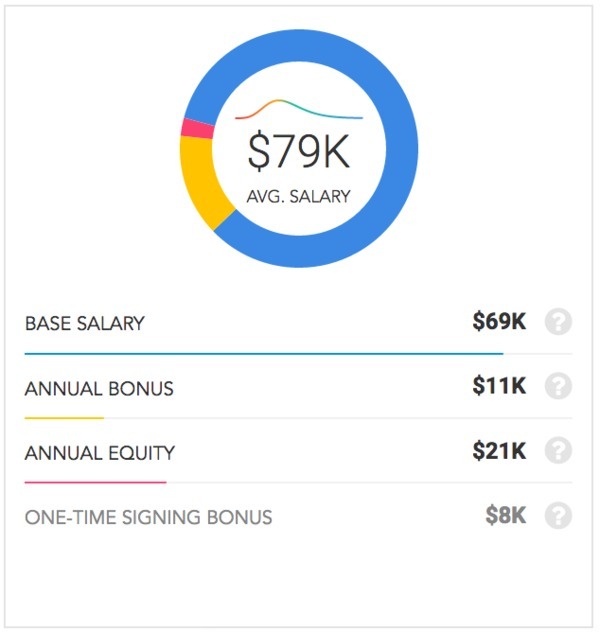 That’s a small price to pay for landing your dream developer job at Microsoft, which pays developers an average annual salary of $206,000. 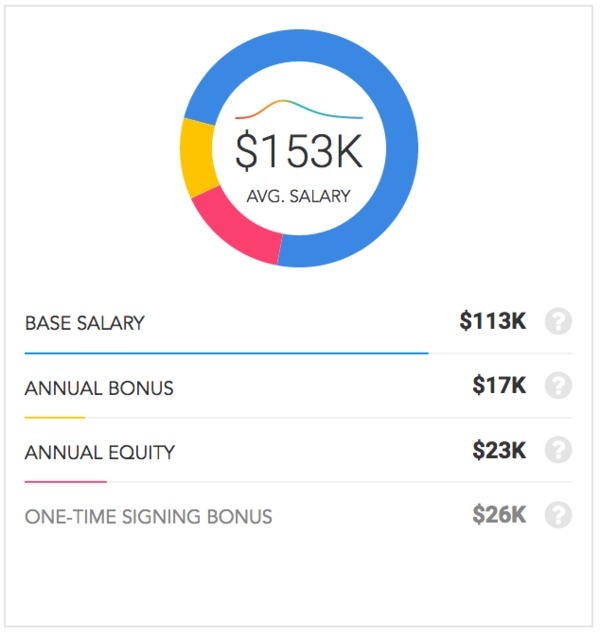 Average salary for Microsoft Web Developers, per Paysa data. Typos aren’t the only language-related issue commonly found on tech resumes. The use of too much technical jargon can hurt your chances of securing an interview for your dream job as well. Most tech jobs require great technical expertise. Just look at the top skills for web developer jobs listed on Paysa. Despite the technical nature of your job, your resume does not need to be filled to the brim with job-specific lingo. In fact, doing so might impede your chance of getting hired. 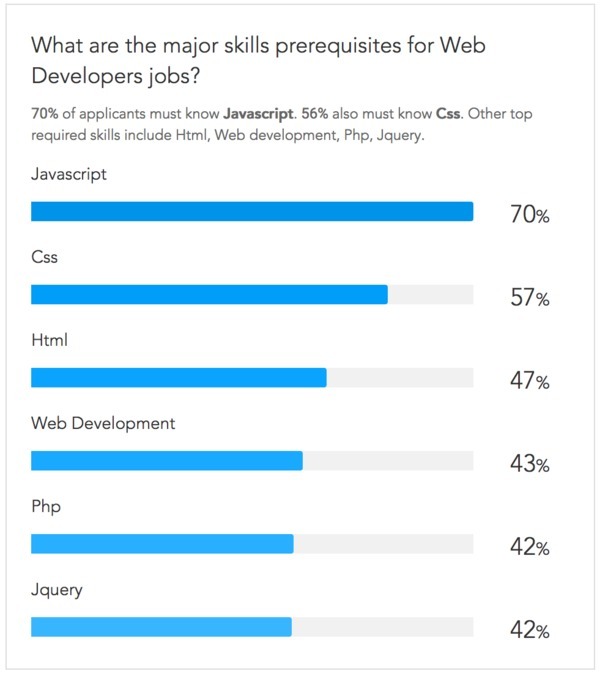 Skills required for web developers, per Paysa data. Think about it: while a peer or direct manager may understand all the acronyms and tech-speak you’ve included in your resume, the recruiter — who acts as the gatekeeper between you and the team — very well may not. Recruiters are looking to see you meet basic requirements, so save the deep-dive into technical expertise for your interview. Finally, pay attention to formatting. This may be especially important for web developer jobs as your role requires precision and attention to detail. Much like a typo shows inattentiveness to detail, improper formatting looks sloppy and could easily be the reason a hiring manager tosses your resume into the trash. 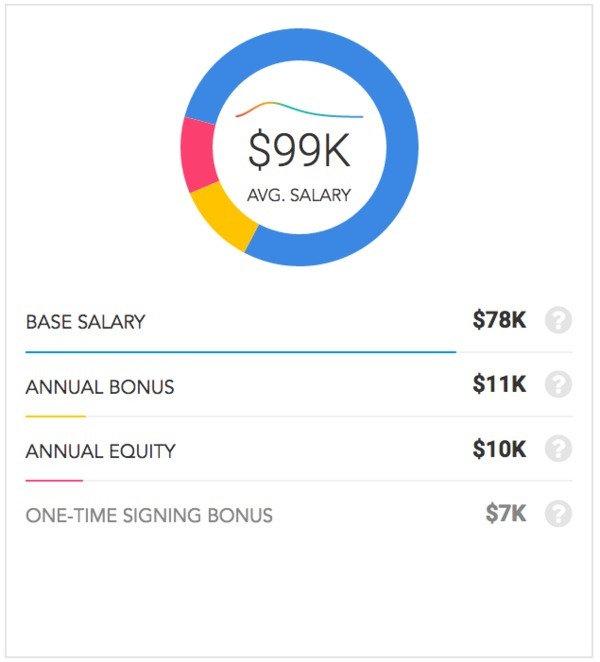 Which, if you’re applying for a dream job like a developer role at LinkedIn, could cost you an average annual salary of $184,000. Average salary for LinkedIn Web Developer, per Paysa data. When building your resume, it’s natural to want to show the full extent of your experience, but a long resume can severely impact your chances of getting an interview. Research shows recruiters spend an average of 6.25 seconds looking at your resume before determining whether or not to move you forward to next steps, so prioritizing your most relevant experience in a clear, concise format means a better chance of catching their eye. Here are some best practices to follow. Keep it to one page. You might think that a recruiter needs an in-depth overview of some vaguely-related position you held ten years ago, but the truth is, they don’t care and likely won’t ever read it. Condensing your resume down to a single page serves two purposes: 1) it’s an exercise in purging irrelevant details from previously held positions and 2) it forces you to personalize your resume toward the job. In doing so, you’re highlighting the experience most likely to make a recruiter see you as a qualified match for the role. Use bullets, not paragraphs. Again, knowing that your average hiring manager scans a resume for less than 10 seconds at a time means you need to make it easy for them to find the relevant details quickly. A paragraph of text describing your roles and responsibilities doesn’t do that. A short, bulleted list for your most relevant jobs will help. Keep it simple. You might think submitting an untraditional job application will be a great way to stand out from the competition. While there are exceptional examples of people doing some crazy things to get hired, generally speaking, a properly formatted, bulleted, one-page resume has a much higher likelihood of getting you an interview than any of the crazy, creative ideas you might have for getting noticed. All in all, it’s about building a resume that demonstrates who you are in the quickest, most easily-digestible format. That way, when you throw your resume in the hat for web developer jobs at Apple, you’ll be in a good position to have your qualifications reviewed by a recruiter who can help you get your foot in the door. Average salary for Apple Web Developers, per Paysa data. Demonstrate results. 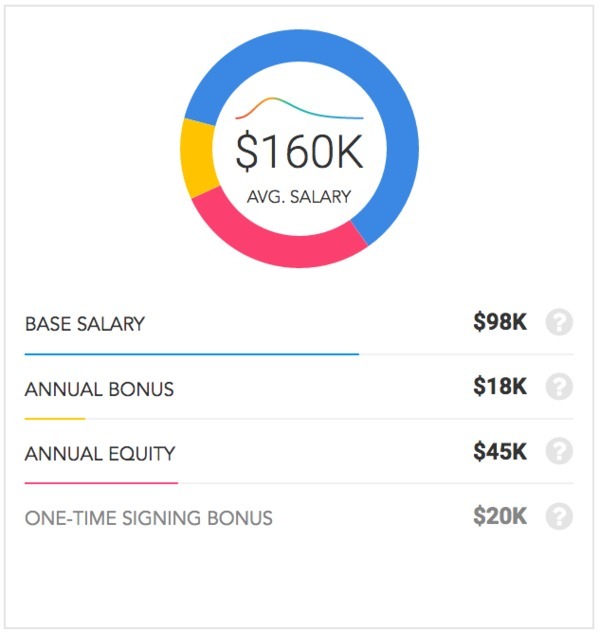 Recruiters and hiring managers are data-driven and want to see the end result of projects you’ve completed. Simply listing projects you’ve worked on without tying the success of those projects to some sort of measurable return on investment doesn’t mean anything to a hiring manager who wants to hire the best possible person for their team. So, instead of writing, “Built new desktop interface to align with mobile strategy,” instead try: “Built new desktop interface to align with mobile strategy, resulting in a 12% increase in traffic within the first 30 days.” The former shows you know how to build an interface. The latter shows you know how to build an interface that drives results. Your accomplishments versus team accomplishments. Demonstrating you work well with a team can be critical for landing a dream job, but your resume isn’t necessarily the place to get that message across. Save that for the interview. Hiring managers are looking to hire one person per role and if your resume reads like you need a team of five to see any success, you may not be the right person for them. This applies just as much for leadership positions. Yes, a good leader should be highlighting the successes of their team, but your resume should demonstrate how your leadership drove them toward that success. Side gigs. Plenty of people working in tech work on side projects in off-hours. For whatever reason, many choose to leave these off their resume when they can be a huge value-add for a potential employer. Side gigs show that you’re hardworking, passionate about what you do and often require skills that may have been underutilized (but valuable) in your 9-to-5 role. Keep your focus on high-impact projects with actual results and you’ll be serving up the information a recruiter or hiring manager needs to determine whether or not you’d be an asset to their team. Make it a rule that no matter how exciting the opportunity, no matter how badly you want the job, you will not lie on your resume. It will always come back to haunt you in one way or another. And you don’t want to be happy in your dream job as a developer for Hewlett-Packard only to have them find out you lied about something trivial like your college GPA. Even if you don’t get fired, it ruins the trust between you and your company, which is never a good thing. Average salary for Hewlett-Packard Web Developers, per Paysa data. Make these changes to your resume while you start the search for your dream job on Paysa. Not only does the Paysa blog contain great content on top jobs with great tech companies, interview etiquette and more, but Paysa’s robust database of salary information can help you figure out what companies offer for your role. Search for open jobs, compare salary information and get on the road to finding your dream job with Paysa. Next ArticleWall St. Vs Tech St.